in activities such as project design, construction oversight, and property management. "AFFORDABLE HOUSE & LOTwith an ASIAN INSPIRED LIVING located to the next MAKATI OF THE SOUTH!" "An Unbeatable Location that puts youin the Winner's Circle." 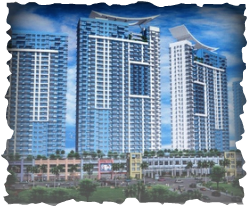 "An Address That Sets You Apart"
THE NEXT BIG ATTRACTION TO WAIT@ ARANETA CENTER!! Megaworld Corporation and the Araneta Group's tie up served as framework to the birth of a new city. Manhattan Garden City (MGC), the first garden-inspired and transit oriented community slated to rise at the Araneta Center in Cubao, promises a breath of fresh air at the heart of Metro Manila. Featuring a hectare of lush landscapes, those who will choose to live here may take in a breath-taking environment in the comforts of their home. RESERVATION IS ONLY 25,000PHP! !PROMOS AND DISCOUNT ON GOING!! !